Life is Strange was one of the biggest games of 2015, with its interesting time-travelling storyline and great cast of characters. And fans of developer Dontnod Entertainment’s episodic adventure were happy to hear that a sequel to Life is Strange is in the works, and will be coming soon to consoles and PC. But given that Life is Strange was such a hit, aside from the eagerly-anticipated sequel, a three-episode prequel titled Life is Strange: Before the Storm is also being released this year. The first episode of Before the Storm came out last summer, and was actually a pretty good start to Chloe’s adventure. And no doubt the most noteworthy thing about this Life is Strange prequel is the change of protagonist, with rebellious teen Chloe taking over from shy photography student Max Caulfield in this prequel. Unlike Max, though, Chloe is not able to rewind time (one of the most interesting aspects of the original game), but as the trailer for the upcoming second episode of Life is Strange: Before the Storm shows, she’s just as good when it comes to causing trouble despite her inability to manipulate time. 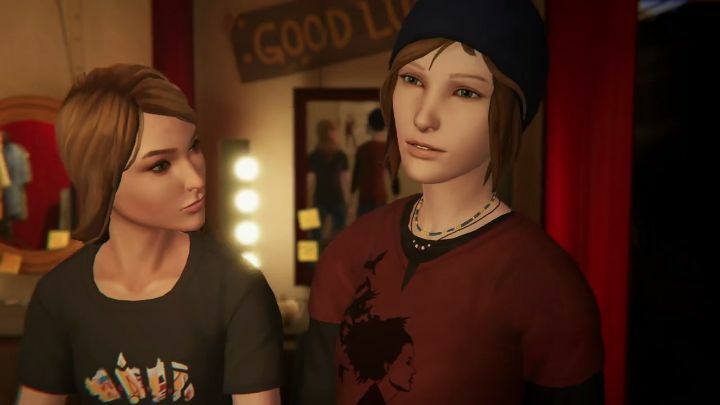 The trailer for this episode reveals we can expect to see more of Chloe’s and fellow Blackwell student Rachel Amber relationship, plus Chloe could be headed for trouble in this episode due to her connection to Frank, a seedy character who was introduced in Life is Strange first season. Life is Strange fans will be looking forward to this episode then, which is coming out on October 19 on consoles and PC. It remains to be seen whether this will manage to improve on the pretty good first episode, though, but here’s hoping this ends up being another worthy instalment in the series when it’s released later this month. Next: Is Ubisoft buying Hitman?